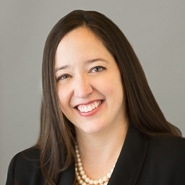 Partner and Chair of Marshall, Gerstein & Borun LLP’s Medical Devices Practice Group, Julianne M. Hartzell will lead the webinar “Effective Use of ADR in Intellectual Property Cases” on Tuesday, February 5, 2019, presented by the Illinois State Bar Association. Ms. Hartzell’s 15 minute session is part of the Illinois State Bar Association live webinar program, “Alternative Dispute Resolution in Intellectual Property Cases.” The full webinar program is 1.0 hour MCLE credit, including 1.0 hour Professional Responsibility MCLE credit in the following category: Professionalism, Civility, and Legal Ethics MCLE credit. See the Illinois State Bar Association – Live Webinar – Alternative Dispute Resolution in Intellectual Property Cases registration page for full details.